There is "strong" evidence to bring criminal charges after the deaths of hundreds of patients at Gosport War Memorial Hospital, the detective who led an investigation believes. An inquiry in June last year found more than 450 patients died after being given "dangerous" levels of drugs. Dr Jane Barton, the GP at the centre of the scandal, prescribed strong opioid painkillers to elderly patients. Hampshire Constabulary previously investigated the hospital three times. No charges have ever been brought. Many patients who died had been sent to the hospital to recover from operations. 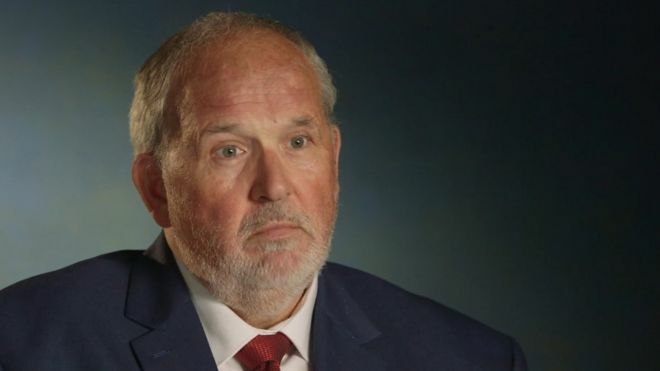 Former Assistant Chief Constable Steve Watts, who led the third and largest investigation into 94 deaths, told BBC Panorama he believes the evidence was enough to take the case to court. "I think it's strong enough now, I think it was strong enough then, and I think there was an overriding public interest in doing so," he said. During the investigations, the Crown Prosecution Service (CPS) looked at possible charges of manslaughter and murder in relation to Dr Barton and some nurses who administered the drugs. However, prosecutors decided there was not a reasonable chance of securing convictions. Mr Watts said: "I knew what the response of the families was going to be, I knew what the response of the public was going to be and I recall talking to the prosecutors and saying that this will end up in a public inquiry and eventually I think the matter will go before a court." Police in Hampshire handed the case over to their colleagues in Kent and Essex who are now reviewing the evidence to decide if a fourth police investigation is necessary. BBC Panorama has examined witness statements given to the earlier police investigations by nurses working inside the hospital. They told police they thought diamorphine, delivered continuously to patients by a syringe driver, did shorten patients' lives. One auxiliary nurse said: "It got to the stage that every time Dr Barton came to the annexe, I would think to myself who's going to die now?" In another statement, a staff nurse said: "It seemed that most patients were going on drivers even when they were not in pain." Another nurse said they believed the drug was used "to keep the waiting lists down". However, former nurse Sheelagh Joines, who was sister on Gosport's Daedalus Ward between 1993 and 1997, disagreed. "As far as I am concerned Dr Barton didn't shorten any lives on my ward," she said. "They were nursed to the best of my ability and they had what every patient is entitled to - peaceful, pain-free, dignity - and I mean dignified death." She added at one stage the ward felt like a "dumping ground". "They were sent to us and we were hoping we could rehabilitate them which we tried. "But it soon became apparent they were nursing care, and they had damn good nursing care, but they weren't rehabilitation." Dr Barton, who declined to comment, was disciplined by the General Medical Council in 2010 for serious professional misconduct, but she was not struck off and retired soon after. She said the consultants in charge knew what she was doing and that she was doing her best in an inadequately resourced part of the health service. Dr Barton also said she was under unreasonable and increasing pressure and patients were too poorly for rehabilitation. Panorama: Killed in Hospital was broadcast on BBC One on Monday 21 January.